Dreaming of an ape can symbolize knowledge, resourcefulness, friendship, social relationships, communication and a sense of environment. Apes are a type of mammal that includes a number of specific animal species, such as Gorillas, Chimpanzees, and Orangutans. Since most of these specific species of apes share common characteristics, we will cover each of these in this article, since most of them share common common themes as a dream symbol. What Does it Mean to Dream About an Ape? Because apes are large animals, this can sometimes also symbolize strength, fear or danger or great force under control if the ape presents itself in a gentle manner. The kind of ape you dream of may also give you an important clue as to what your dream means. Remember, apes are different from monkeys; they are larger and do not have tails. Orangutan dreams are usually warnings. If an orangutan shows up in your dream, it implies that others around you may be using your influence to advance their own efforts. This is a warning to be on the look out for people who are trying to use you or your good reputation to get a head. It may also mean that if you are in a relationship the person you are with may not be faithful to their partner. It can also suggest that the person will experience a great deal of sadness over this particular lover going astray. 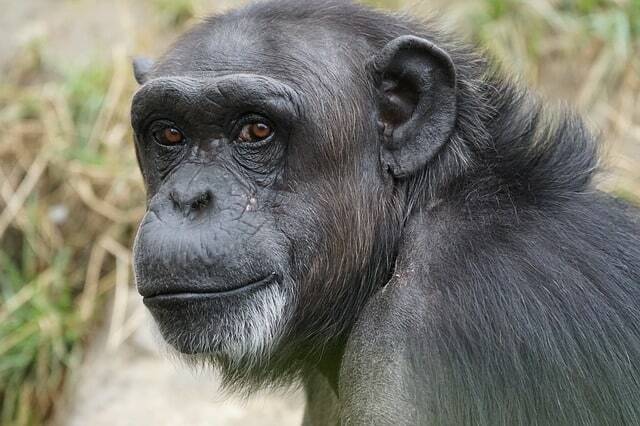 To dream of a chimpanzee may mean that you are putting too much thought or over thinking an event in your life. It may also mean that you are lacking patience in some area of your life and need to refrain from taking matters that are not under your control into your own hands. If a gorilla appears in your dream you may find that you have been repressing your physical instincts and desires. It might be time to consider opening up and exploring this aspect of yourself. It may also mean that you are being to dominating or overpowering in some area of your life. To dream of a gibbon often times means that you have an important goal that you would like to meet and you have come to the full awareness that you have what it takes to reach the desired goal. The gibbon is a symbol that it is now time to reach out and grab onto what it is you desire. It is yours for the taking! Where am I in the dream? How do I feel during the dream? Are there any other dream symbol meanings to consider? To obtain the true essence of the meaning of ape dreams you will want to think carefully about what the animal was doing or any particular aspect that really seemed to stand out in the dream. For example, if you are teaching the ape sign language this may indicate that you feel that you possess great knowledge or skill in some area. This may mean that you believe it is worth investing the time to teach this knowledge or skill to others. On the other hand, if you see an ape savagely attacking someone or something it may indicate that you yourself are "going ape" in some part of your life. Usually this is a wake-up call for you to work through your aggression and resolve these feelings in a more positive or mature way. Have you recently encountered an ape in your dreams? What do you believe your dream means? Please share with us in the comments below! I recently dreamed of an ape, I believe to be an orangutan. The orangutan was escaping capture and then once it escaped, it appeared to be me as a human, but then I went back to help other apes escape. They appeared to turn human as they were freed too.